The company’s TrailerNet, ChassisNet and ContainerNet systems tap into various sensors and smart components to provide fleet managers with key data they can use to prevent downtime and safety violations and make better dispatching decisions. “We’re providing a single connection … to make it easy for that fleet to digest that information and take action on it,” said Gerry Mead, executive director of innovation at Phillips. In addition to GPS location and cargo tracking, TrailerNet can report maintenance issues such as problems with brakes, lights and tires, which are among the most common violations under the federal Compliance, Safety, Accountability program. “You don’t know how many times a driver is dispatched to a trailer and it’s got a flat tire, or it’s got lights out,” which not only cause delays but cut into driver productivity, Mead said. Thus far, PCT has partnered with 19 third-party sensor and smart system suppliers for integration with TrailerNet, the company said. PCT also introduced a pair of more basic, low-cost tracking devices. The AssetTrac GPS can be mounted on a loaded or unloaded trailer within 5 minutes and includes a motion sensor to report when the trailer moves. The device has a battery life of three years or longer. The EZTrac GPS tracker, another “plug and play” device, is integrated into a harness piece. The system is available for $120 for two years, or $5 per month, Mead said. 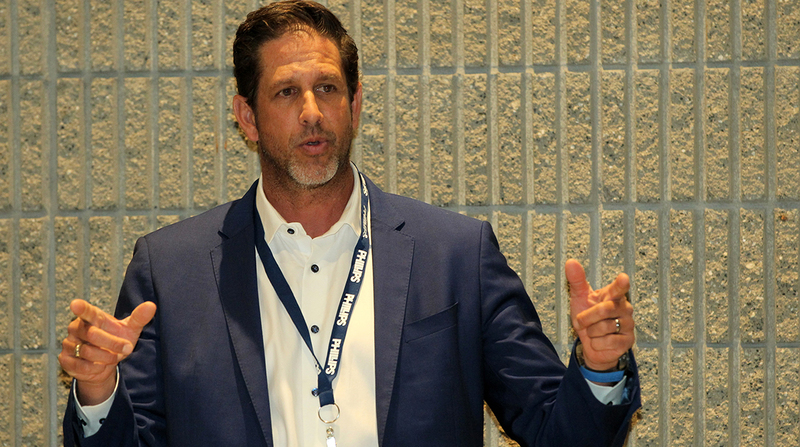 PCT, which is a business unit of component supplier Phillips Industries, made the announcements at a March 17 press conference here at American Trucking Associations’ 2019 Technology & Maintenance Council annual meeting. The company plans to bring all of its new telematics products to market within the next few months. With its push into the trailer-tracking sector, PCT set out to introduce technologies that address key industry issues such as productivity, driver detention time, unexpected downtime and inefficiencies. “We knew early on if we were going to be successful in this business, we cannot be just another telematics company with another telematics product,” said Rob Phillips, the company’s president and chief operating officer. To support the launch of its telematics platforms, PCT recently acquired Connected Holdings, a Newport Beach, Calif.-based provider of sensors and telematics components. PCT announced the acquisition in February.